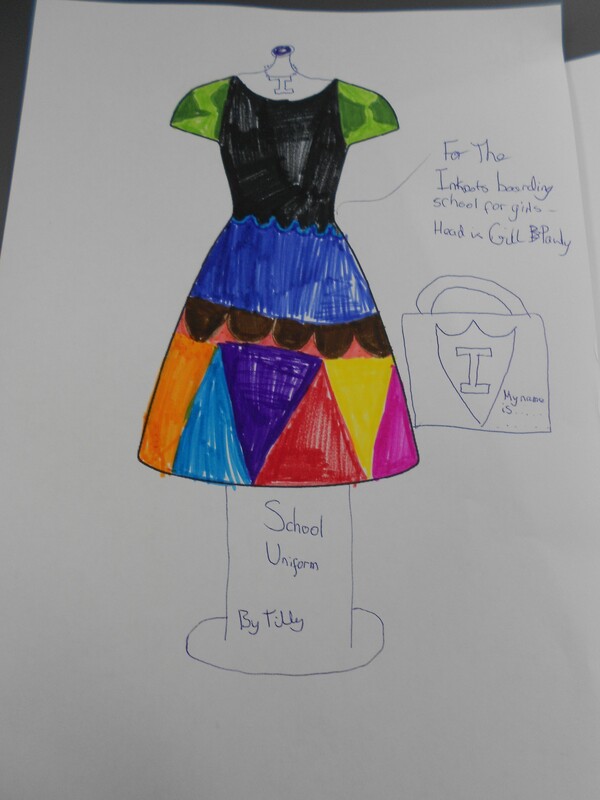 On 7 April, we had a brilliant time at our themed Malory Towers workshop. A lovely group of girls – including some who were new to Inkpots – came together to do some crafts and other creative activities. They made badges, cake boxes, and collages. 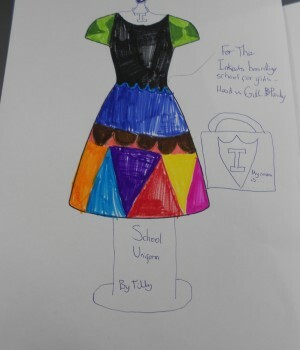 Designs for uniforms were also made and book quizzes made up. Lessons would include English, Art, Cooking and Drama. Our food would include a Friday night special, lots of ice cream and cake of all varieties. We would play tennis and go swimming. Friday night would be movie night and games night. Best of all we would have the most amazing library ever – and parents would come to see us on Sundays. Our school would – of course – be set in lovely grounds and we would have a story garden. This was one of the best workshops we have ever done, so we will definitely be running more themed ones in the future.